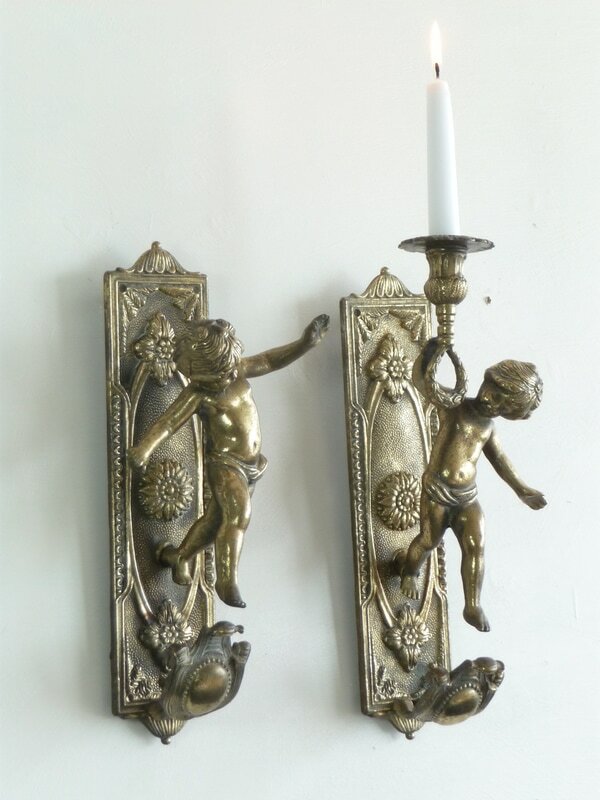 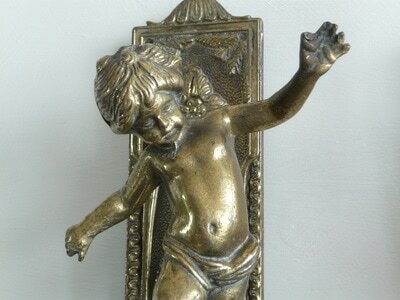 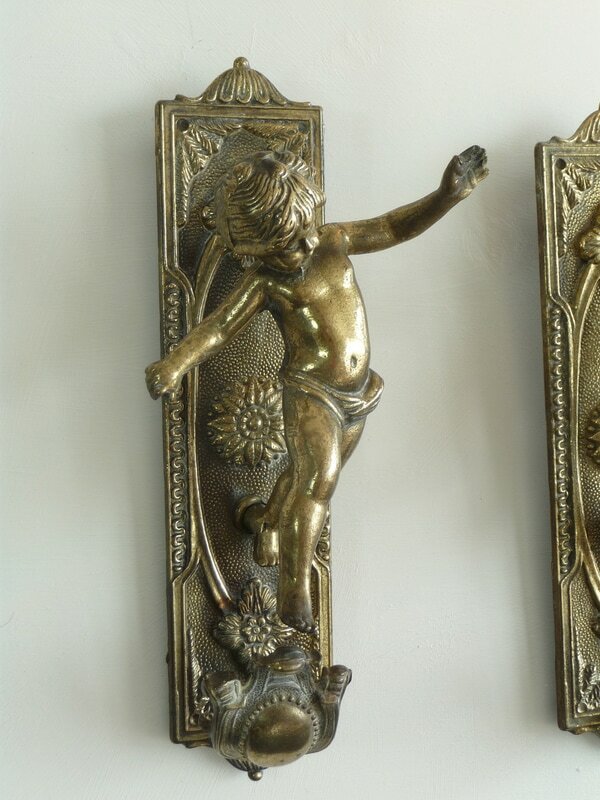 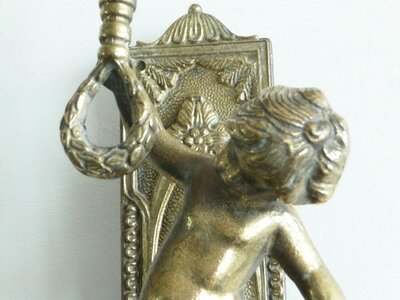 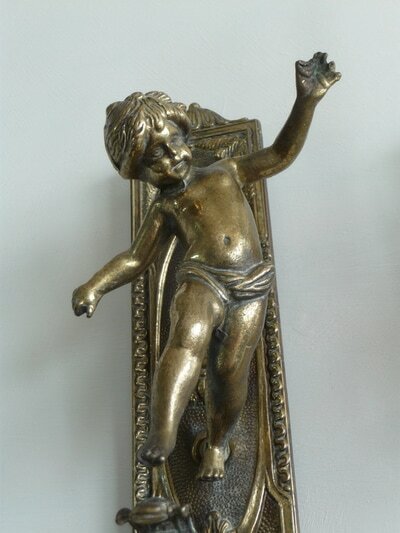 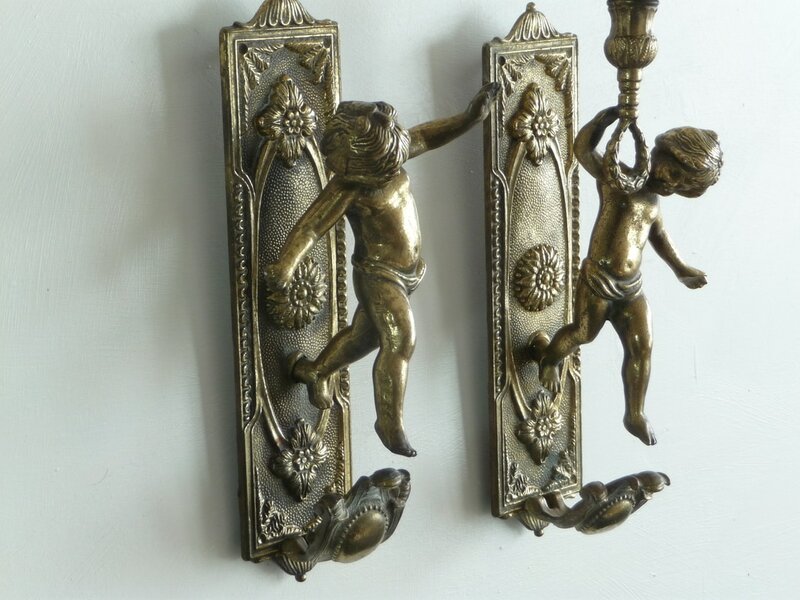 A beautiful pair of highly decorative reclaimed French cherubs. These are a quality pair which date from around 1900. 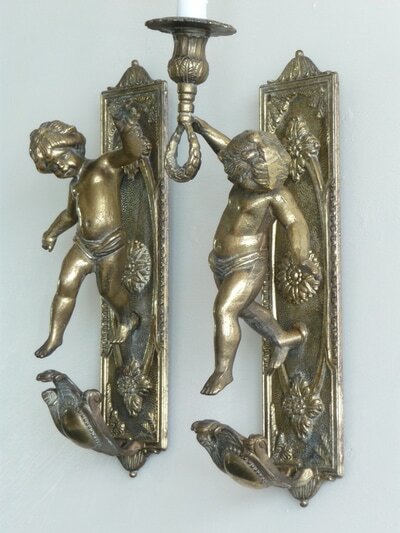 Made of brass, they would originally have been fixed to the wall in a country house or chateau and used as candle sconces. 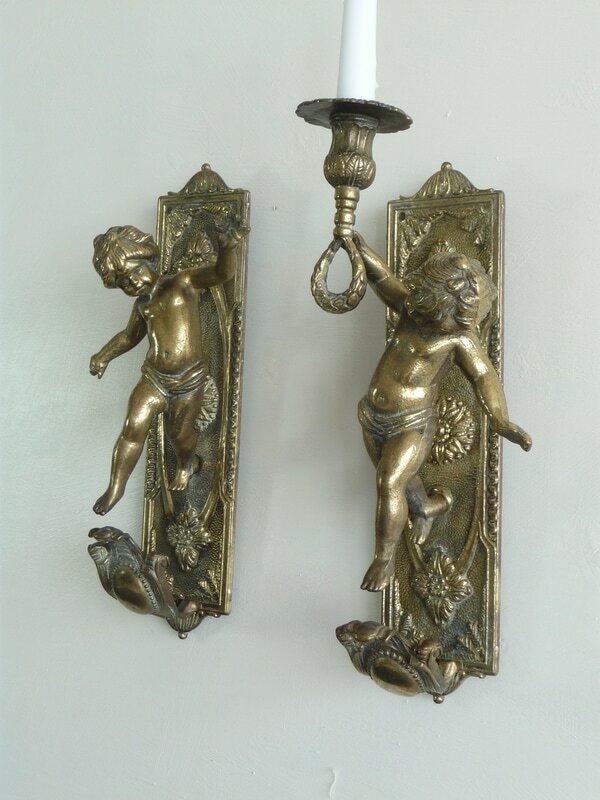 As a reclaimed pair they could be put to a number of uses or displayed purely as decorative items. 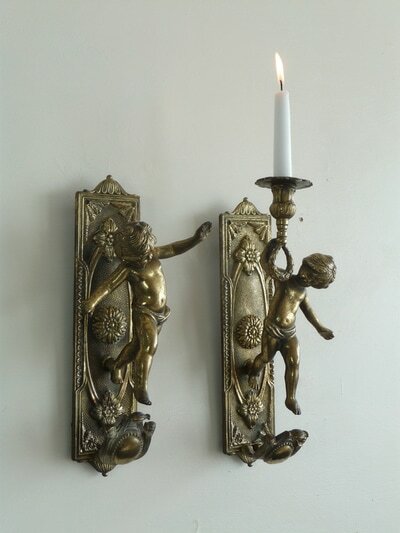 One cherub retains the original candle holder, the other is sadly missing this but would look beautiful as a display for necklaces or could be used as coat hook or similar.